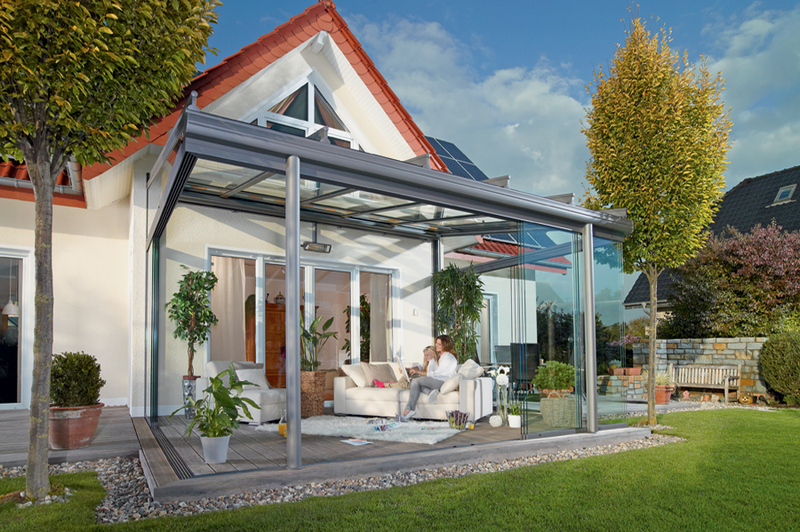 The frameless all-glass elements allow unlimited outdoor enjoyment and provide ideal weather protection all in one. The Glasoase can be used from Spring well into the Autumn, and you can incorporate heating and lighting to enjoy your patio even longer. 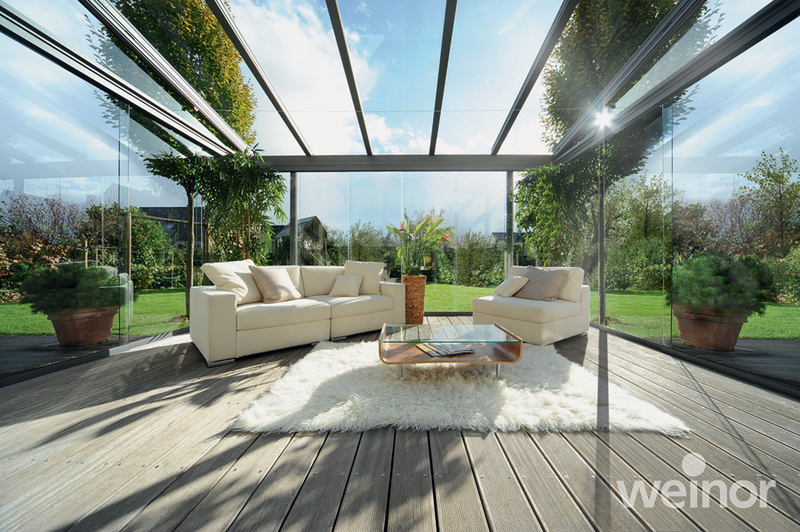 The Glasoase Glassroom incorporates the Terrazza patio roof with a range of folding door systems or fixed glass panels. Whether your house is old or new your Glassroom can be designed to fit around you and your property. Top quality German engineered technology allows you to fully retract the doors around the corners even, all the way back to the house wall and open up the space. On all the door systems the tracks can be fully recessed into your floor allowing you to move garden furniture in and out with ease. Sliding skylights within the roof are an option to allow air flow within your Glassroom, along with an extractor system also available. 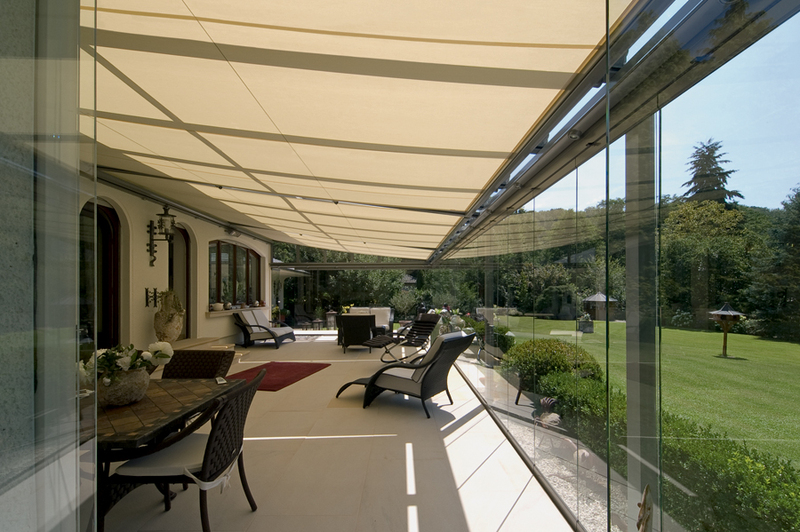 Other accessories include sunshade solutions inside or outside of your roof and vertically for your windows or doors. For more details; request a brochure or contact us.